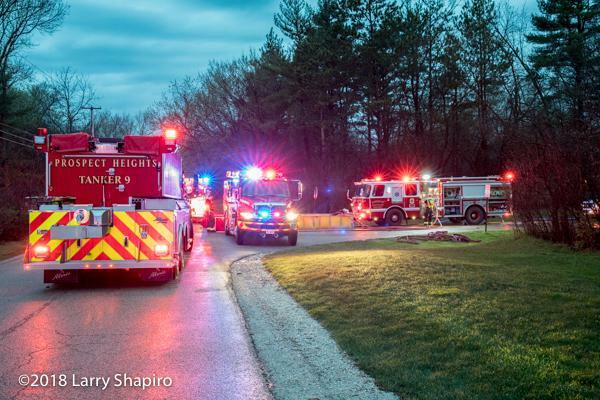 The Barrington Countryside Fire Protection District responded to a house fire in the early morning of May 3. Smoke was visible as firefighters responded. On arrival a large fire was engulfing the second floor and roof. The resident had evacuated the house. The area is without hydrants. 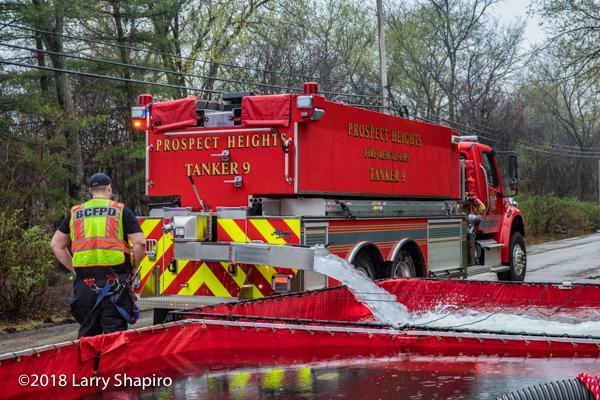 The first engine and tanker pulled into the driveway with 4,000 gallons of water as the second engine dropped a line to the end of the street to initiate a drafting operation from three portable tanks. Fourteen tankers shuttled water for over two hours to supply several hand lines that were operating. 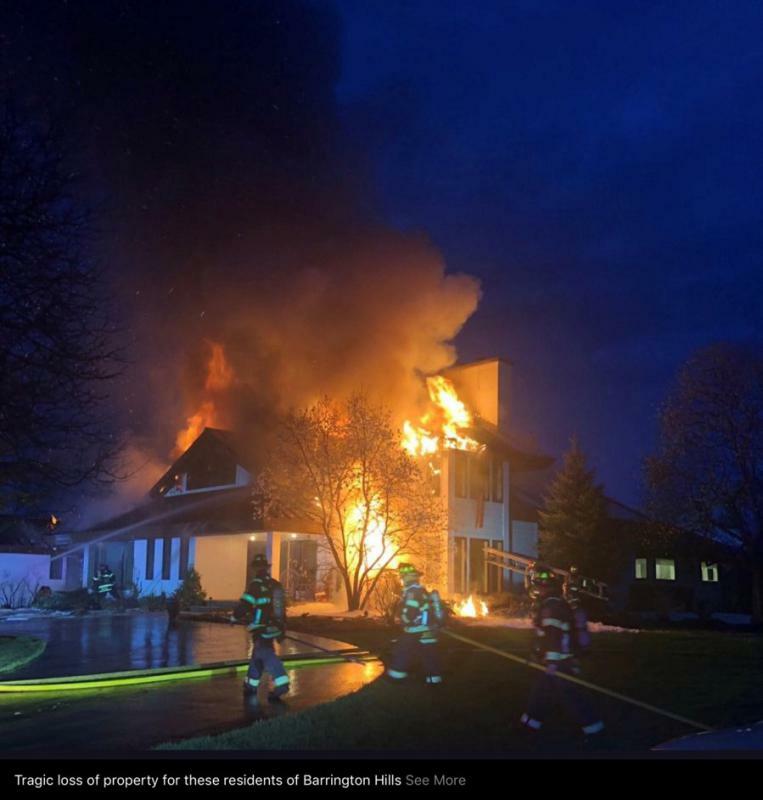 The house sustained heavy damage and the fire’s origin is believed to be a lightning strike.